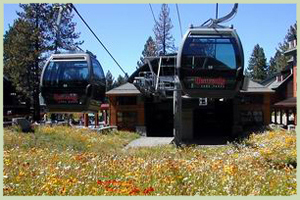 One of the best locations that offer a panoramic view of Lake Tahoe that is virtually unparalleled to any other in South Lake Tahoe is on the Observation Deck at the gondola’s midway station aside the mountainous area of the world famous Heavenly Mountain Ski Resort. 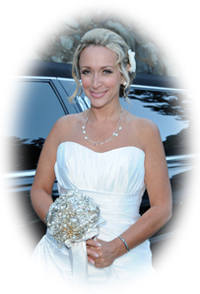 Couples who are searching for a slightly nontraditional way to marry and wanting an awesome background to compliment their special occasion, this dazzling site is one that will assuredly meet your expectations. 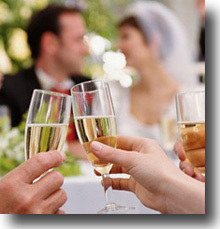 Weddings take place year-round at this eye-catching venue and the summer views are as striking as the winters. 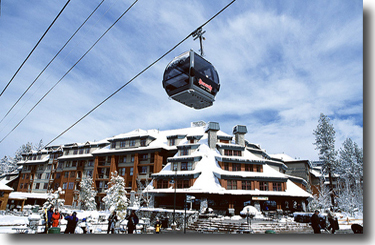 Your assent will begin from the gondola base located in the downtown area of South Lake Tahoe. You’ll enjoy every moment of the approximate 15 minute journey stretching almost 2½ miles up the side of Heavenly Resort’s scenic mountainside to an altitude of 9,123 feet. 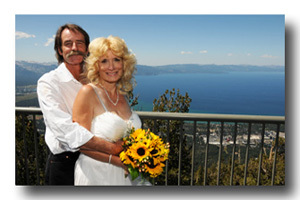 You’ll exit at the gondola’s midway station where your ceremony will take place on the stately Observation Deck. 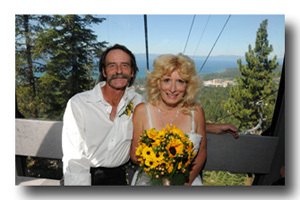 Our photographer will photograph the entire expedition including photos taken of the bride and groom during the gondola ride, the ceremony, and formal poses after the ceremony. The stunning background of the Sierra Nevada Mountain Range and the deep blue colored lake will produce stunning photos that will provide lasting memories. 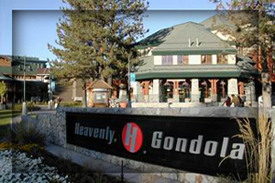 Once pronounced husband and wife, you’ll once again board the gondola and continue the voyage to the top of Heavenly Mountain. Before returning to the base, you’ll have the option to exit the ride at the summit. Depending on the season, you may choose do some hiking to take in some additional sights, have a meal, or partake in a celebratory toast at the mountaintop pub. Whatever you decide, your gondola wedding on the Observation Deck will prove to be a thrilling experience and an inimitable way to begin your new life together. 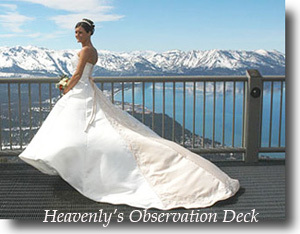 Gondola packages for the Observation Deck include four tickets: one each for the bride, groom, minister, and photographer. Additional tickets for your guests can be purchased on the day of the event and will cost approximately $60 each (price may vary as it’s subject to change). Small groups of up to 15 people are suggested.